Major Hemp’s beer is classified as an American Brown Ale. On its own the hemp powder has a walnut flavor and produces some earthly characteristics when brewed with the beer. The medium malt interaction creates balance and the hops leave a subtle dryness on the back of the pallet. That’s also where the hemp maintains its originality. Our Ale contains Hemp which is rich in essential fatty acids such as Omega 3 and 6. It does not contain THC and is legal in all 50 states. 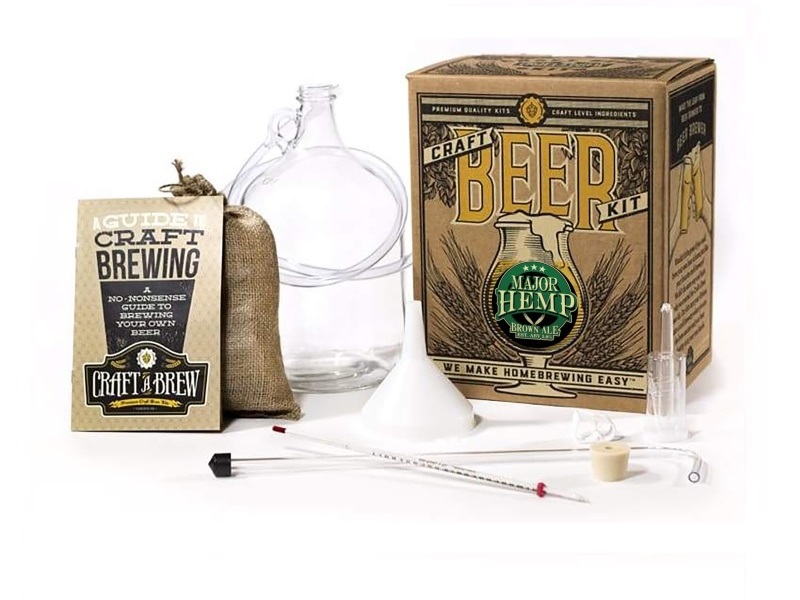 Each beer brewing kit comes with everything you need to make your first gallon of craft beer, including reusable equipment and fresh-packed ingredients. Malt – 2-Row Brewer’s malt as the base, Caramel 40 for a light sweetness and body, Victory Malt for nuttiness, Brown Malt for flavor/aroma/color, and Chocolate Malt for color.